Dorret’s family are from the West Indies but she grew up in Preston and works as an accountant. 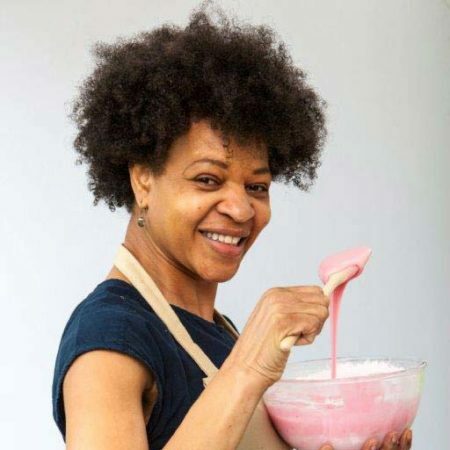 A self-confessed foodie Dorret has been baking for 40 years and enjoys tap dancing, ballet and salsa to counteract the calories she consumes. Dorret and her husband regularly visit Michelin star restaurants for inspiration and ideas for their next culinary experiment and often host dinner parties to impress their friends with their skills. Mother to 21 year old daughter, Dorret’s dream is to go to the Cordon Bleu school in Paris.